Most businesses today can benefit from mobile application, particularly if their goal is to reach out to more customers. With the right features that should always include user friendliness, it can increase sell-through, boost accessibility and visibility, and improve brand recognition.App Development services for Android, iOS, and Windows are particularly helpful in businesses with online shops. According to a recent survey, about two-thirds of app users are regular customers who mostly feel that purchases from mobile apps are more convenient and easier than visiting a physical store. 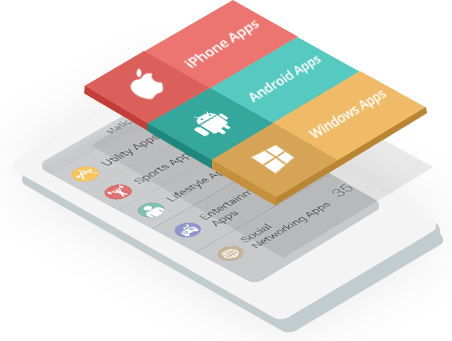 Simply put, App Development services for Android, iOS, and Windows are not just for businesses whose core operations include the Internet. With the right interfaces that engage and enhance mobile users experiences, the benefits of mobile application are boundless.Aside from online purchases, App Development services for mobile users can also help them schedule their appointments, access promos and freebies, and get notifications of their favorite products or services. As of this writing, Android and iOS account for a combined 99 percent of the world’s smartphone OS. This shows the significance of having mobile application to reach out to customers and to reinforce brand recognition as well.Targeting Android users is specifically valuable because Google, which has developed the operating system, is continuously investing in new technologies that can predict what users will purchase or do next. Furthermore, it runs almost mobile phones except iPhone.